Fortunately, few monkeys can afford airfare. It won't go pandemic, I don't think. But something else will. Think about how the world would deal with something like airborne HIV. Ebola kills too many too fast. The hosts die before they can travel, most of the time. And it happens in a part of the world where most people use "their feet for their only carriage", as Bob Marley said. Ebola would have already gone pandemic if it was going that way. Maybe if it mutates to something even worse at some point. The worst part I see is that survivors can still shed virus. Eventually, that might mean that pockets of Ebola will be treated by genocide. Just found this in my personal email, and knew it belonged as part of this thread. "Just chance." Greg Manteufel went to the hospital with what he thought was the flu, local news outletFox 6 Nowreported yesterday (July 30). But within a week, the doctors had to amputate both of his legs and, later, portions of his hands and forearms. The amputations were necessary after the infection caused Manteufel's blood pressure to drop drastically, which severely reduced blood flow to his limbs and led to tissue death. These bacteria are found in the mouths of cats and dogs, according to the Centers for Disease Control and Prevention(CDC). Up to 74 percent of dogs and 57 percent of cats have Capnocytophaga, but the bacteria don't cause illness in dogs and cats, the CDC says. In humans, however, it's a different story. In very rare cases, the bacteria can spread to humans through bites, scratches or close contact with cats and dogs. The people most at risk for this infection are those with weakened immune systems, according to the CDC. (It's unclear if Manteufel had a weakened immune system). If a person becomes infected withCapnocytophaga, the bacteria can spread to the bloodstream and cause infections in various parts of the body, including ablood infectionknown as sepsis. Sepsis occurs when the immune system responds overwhelmingly to an infection, triggering body-wide inflammation and, potentially, organ failure. As in Manteufel's case, the infection can sometimes lead to gangrene, ortissue death, and require amputations to save the rest of the body. Dr. Silvia Munoz-Price, an infectious-disease specialist with Froedtert & the Medical College of Wisconsin told Fox 6 Now that the case is extremely rare. "More than 99 percent of the people that have dogs will never have this issue. It's just chance," she said. I've heard anecdotal accounts from respectable colleagues that point to weird occasional dental disease situations that seem to only happen to cat fanciers. There is enough there to make me believe stuff like that does happen. I have dogs and a cat, and my own dog is attracted to, and wants to lick, any tiny scratch or scab that has the tiniest bit of bleeding. I am at risk, I'm sure. Twenty cases have been reported in Pasadena, most in the last two months, health officials told NBC News, noting that a normal year would typically only see five infections. The city of Long Beach, California, has 12 cases so far in 2018 — double the normal annual number, said Emily Holman, the city's infectious disease response coordinator. The office of Mayor Eric Garcetti said it's on the case. 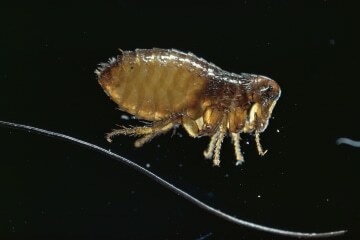 Typhus or typhus fever is a flea-borne infectious disease that can cause high fever, headache, chills, and body aches, rashes and in rare cases, meningitis and death.